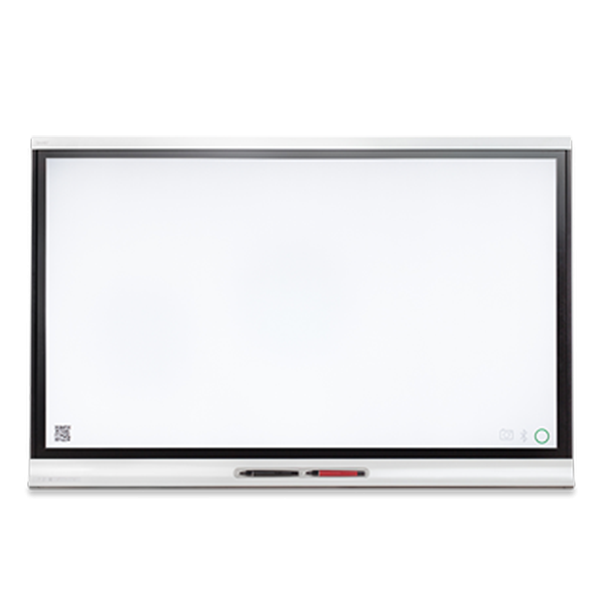 KAPP-IQ55 SMART Kapp iQ 55"
SMART kapp iQ 55" Ultra HD display is a whiteboard that comes with all the qualities of an ultra HD display while serving all the purposes of a whiteboard. It is an innovative way to conduct classroom lectures or conference sessions in a lively manner while keeping everything vivid and interactive. SMART kapp Touchscreen also serves as a wonderful platform where you can display various media files to help communicate with your audience in an effective manner. SMART kapp iQ further facilitates you to share your work with the world to give it the exposure you want. And worry not! Your work won’t go unappreciated as your connected devices will be able to access and contribute to the files you will share with them, no matter where they are! The encrypted connections will ensure that your work reaches its rightful place unaltered. SMART Kapp iQ is an amazing addition to the world of interactive touchscreens which allows users to connect with each other and form connections worldwide to share, develop and discuss ideas. With the help of its permitted connections provision, specific users within the system’s vicinity can be given access to the ongoing sessions allowing them to not only benefit from the info being discussed but also giving them the ability to add their own input into the session. This provision also enables the students to interact with the teachers in real time during classroom lectures. SMART Kap iQ comes with a user friendly interface with a unique set of utilities aimed at enhancing the working experience and making the sessions more interactive. 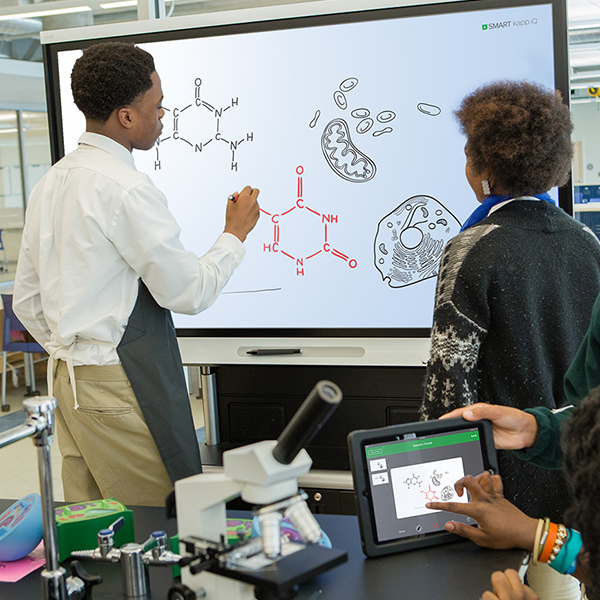 The Touchscreen allows the users to use digital pens for the purpose of writing along with enabling them to use the touch facility at the same time. Moreover, the equipment is easy to install and is essentially a simple plug and play. For the purpose of maintaining workplace privacy, an option of encrypted connections is provided to stop intruders from spoiling the sessions. SMART Kapp iQ makes multitasking easier, natural and sophisticated. The interactive display features multi touch provision which allows two users to perform their desired tasks at the same time e.g one user can write using the digital pen and the other can do the same from his own different colored pen without interfering with the operation of the former. Q. Can I restrict participation of certain users with the SMART kapp iQ interactive touchscreen? A. Yes, SMART kapp iQ 55" Interactive Touchscreen allows you to restrict certain users and allow others to participate in your sessions. A. The SMART Kapp iQ touchscreen allows users can contribute info from their mobile devices. Q. Will I be able to recover information from concluded sessions? A. 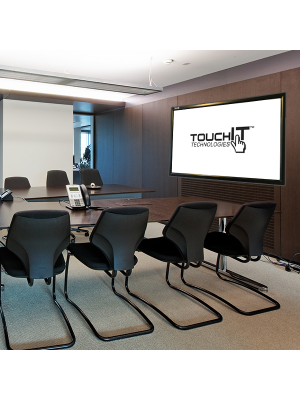 Yes, SMART kapp iQ 55" Interactive Touchscreen allows you start from where you left and saves previous work. A. Up to 250 members can join a session across the globe. Q. 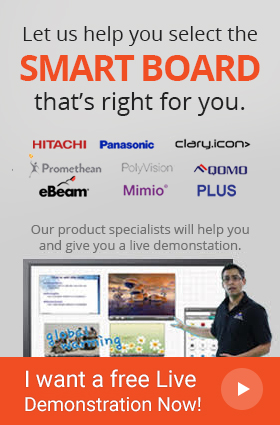 Does SMART kapp iQ 55" Interactive Touchscreen support USB and HDMI connections? A. 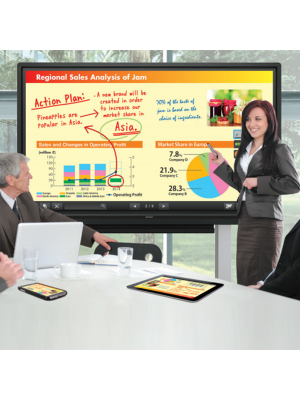 Yes, USB and HDMI connections are supported by SMART kapp iQ 55" Interactive Touchscreen.